The lat and longitude is right on the tree i get these pronotalis. Giant Cottenwoods produce pronotalis like crazy. Thanks for the new data point for T. pronotalis in your area. They certainly are especially bright colored when they are teneral like this. 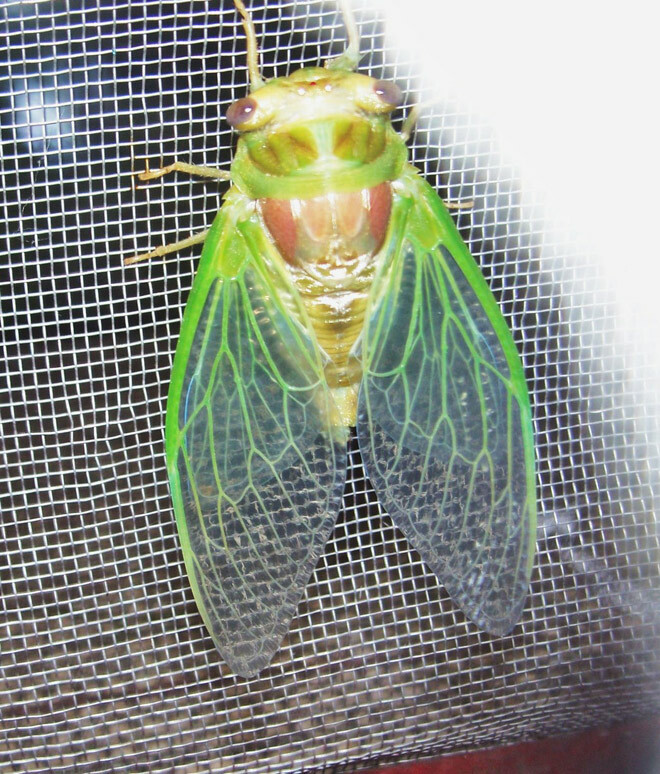 It would be cool to find one of your T. dorsatus cicadas as a teneral. Thanks for sharing your photo.